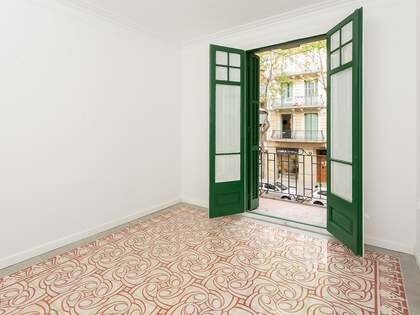 Opportunity to live in a recently renovated 2-bedroom apartment in the popular Sant Antoni neighbourhood of Barcelona. 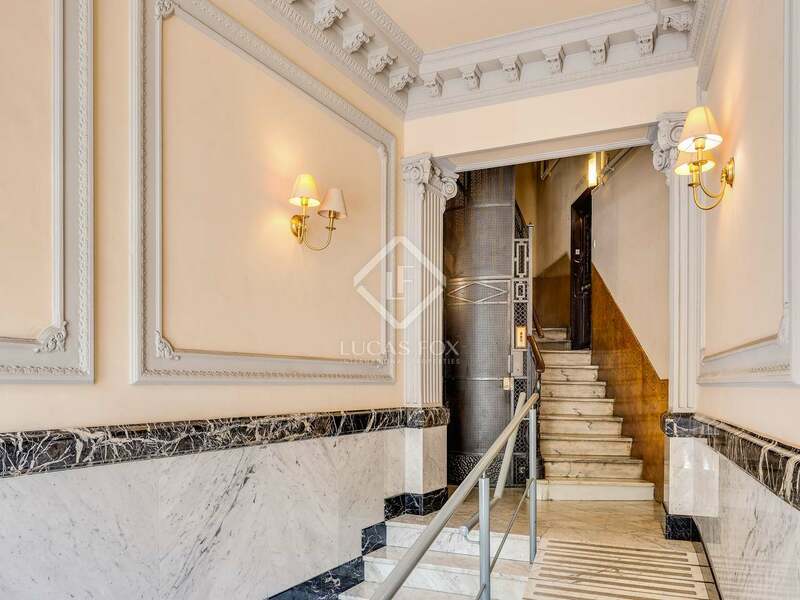 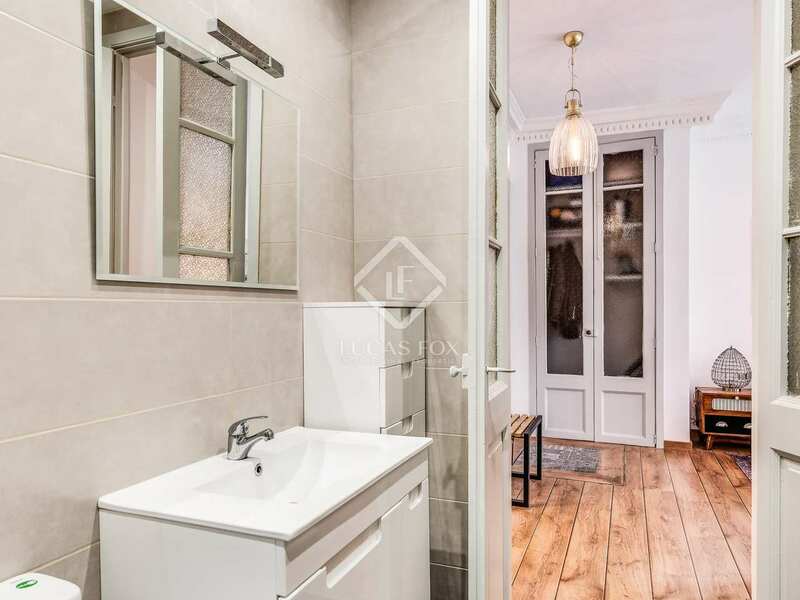 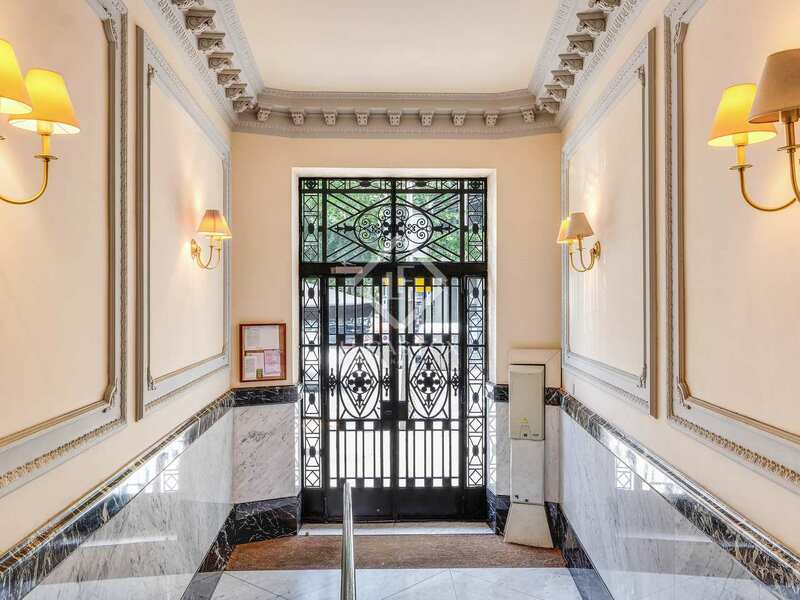 We find this recently renovated 2-bedroom, 2-bathroom apartment of 83 m² in the Sant Antoni neighbourhood of Barcelona, in a prestigious early twentieth century corner building with a lift and a classic entrance with well preserved period features. 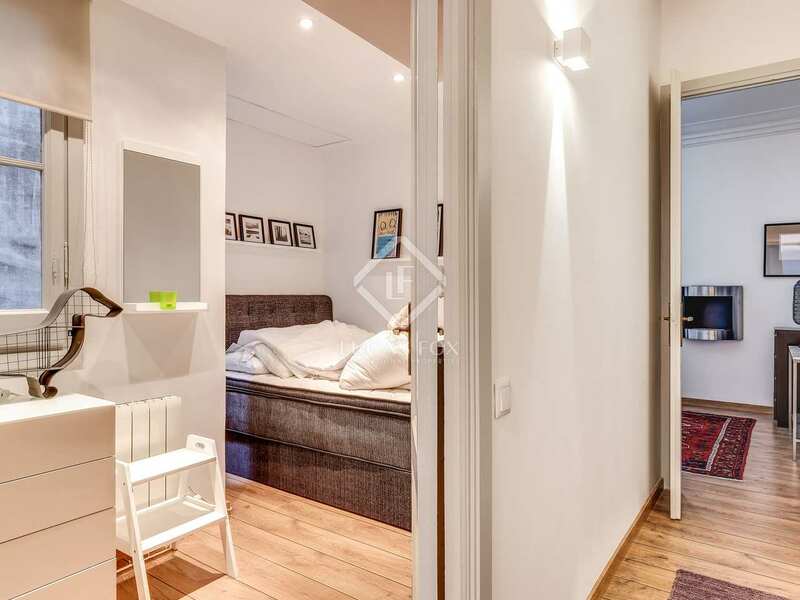 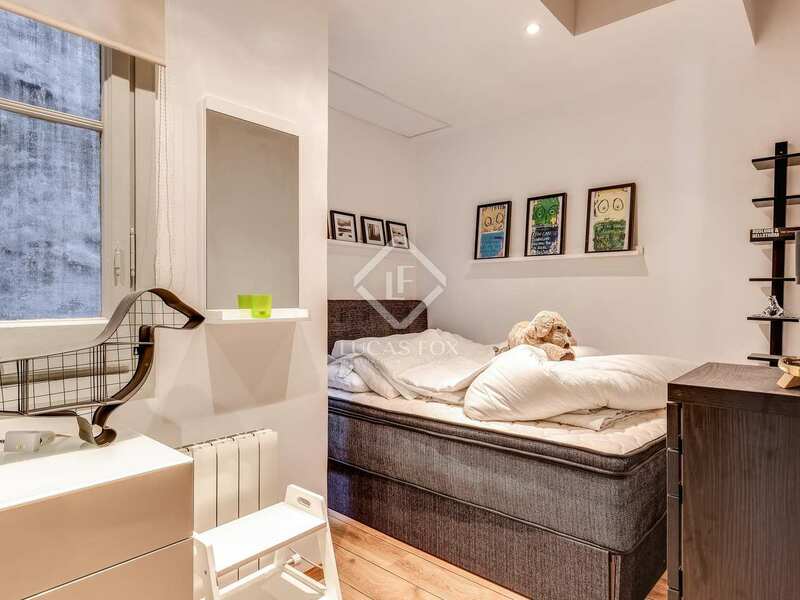 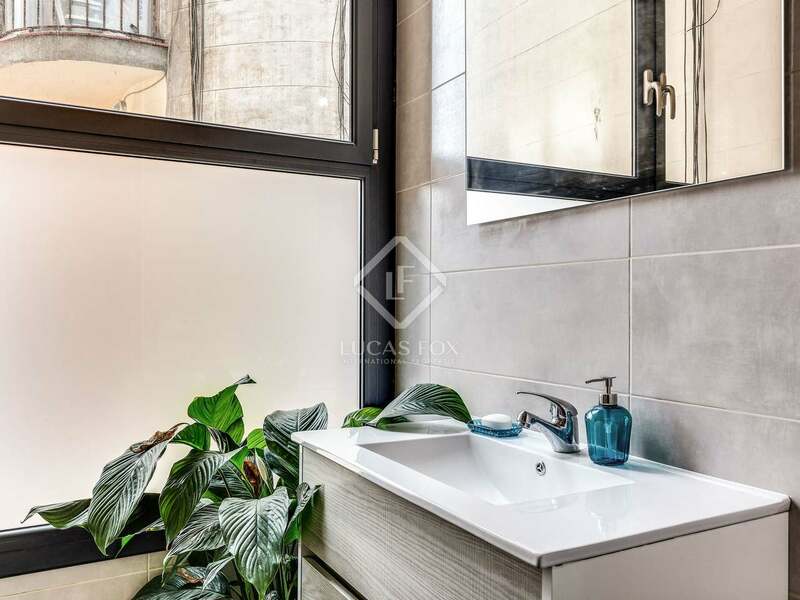 It is situated between Plaça Espanya and the new Santa Antoni Market, close to the Las Arenas shopping centre, 2 metro stations, the shuttle service to the airport and many prestigious international restaurants. 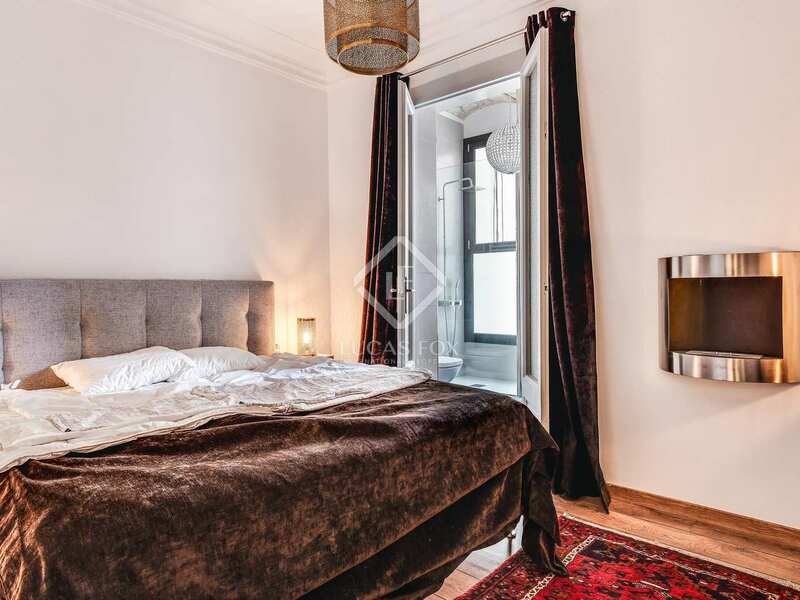 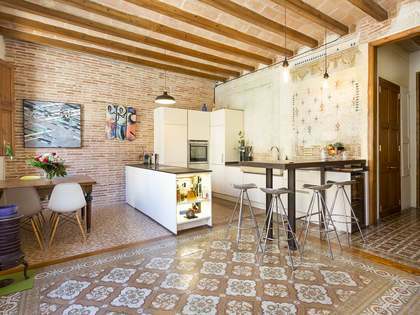 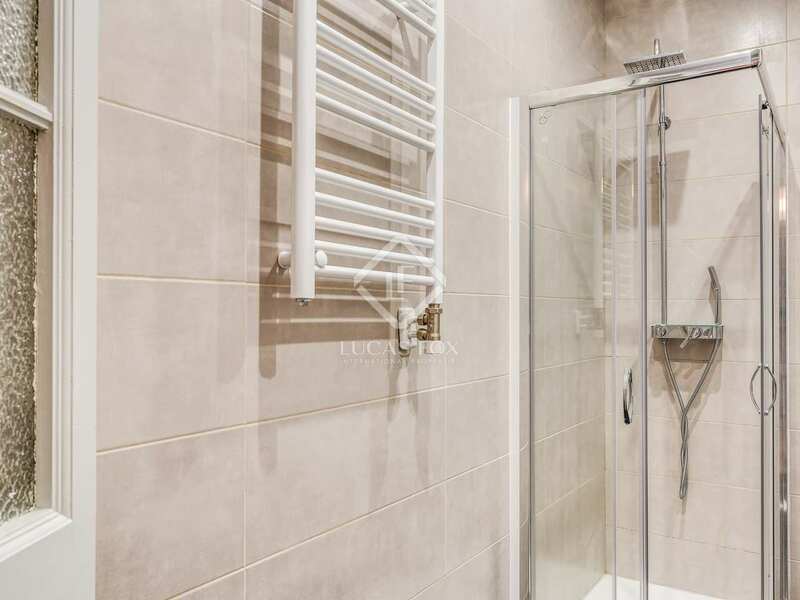 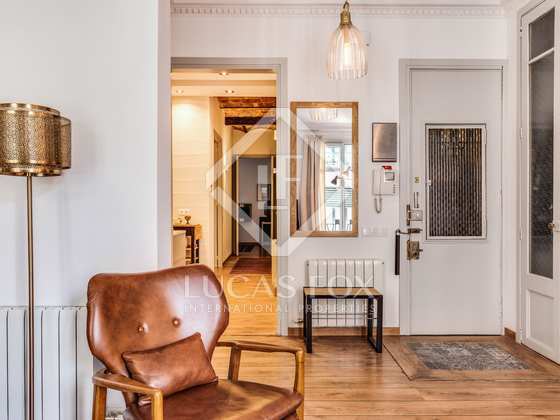 Beautifully renovated in 2017, the apartment has oak flooring, underfloor heating in the bathrooms and with radiators elsewhere, air conditioning ducts and attractive original features such as ceiling mouldings, woodwork and Catalan vaulting. 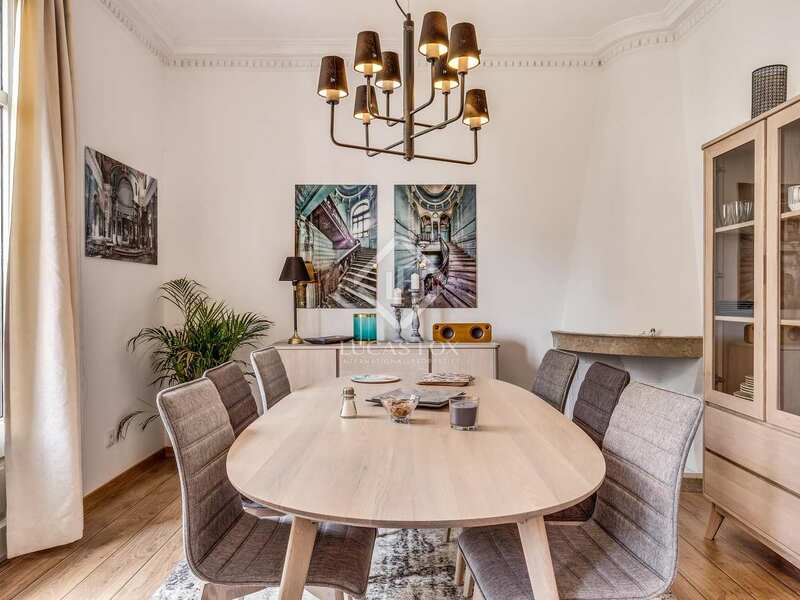 The property boasts an elegant living room - dining room with a fireplace and 2 balconies overlooking the street. 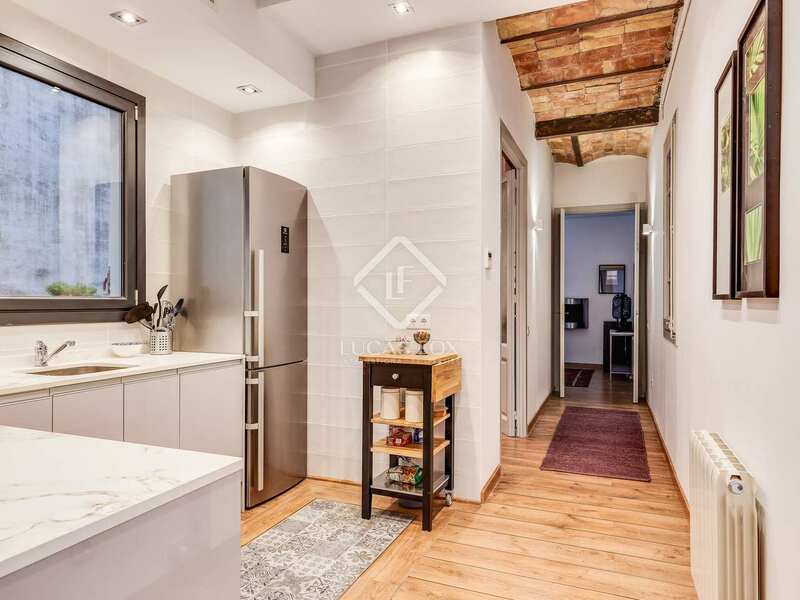 The kitchen leads off of the living area and there are 2 double bedrooms, 1 of which has an ensuite bathroom. 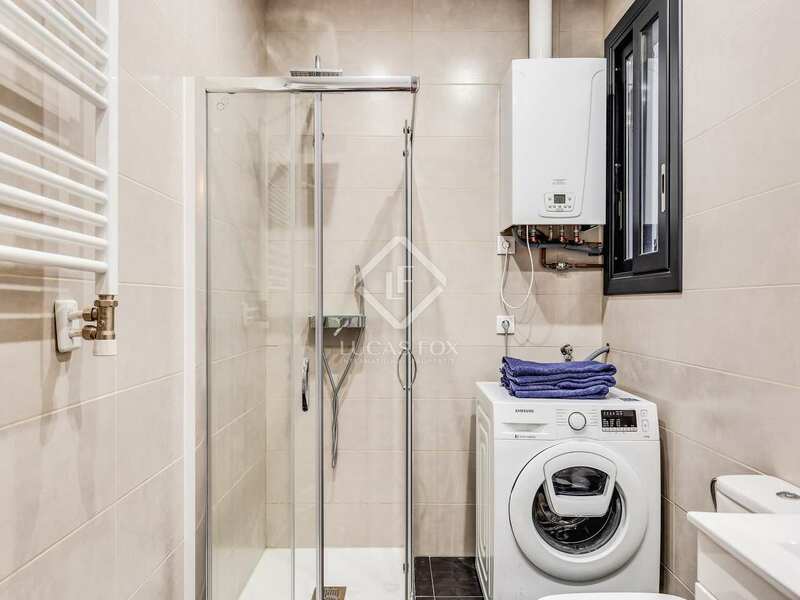 A second complete bathroom also serves as a utility area. 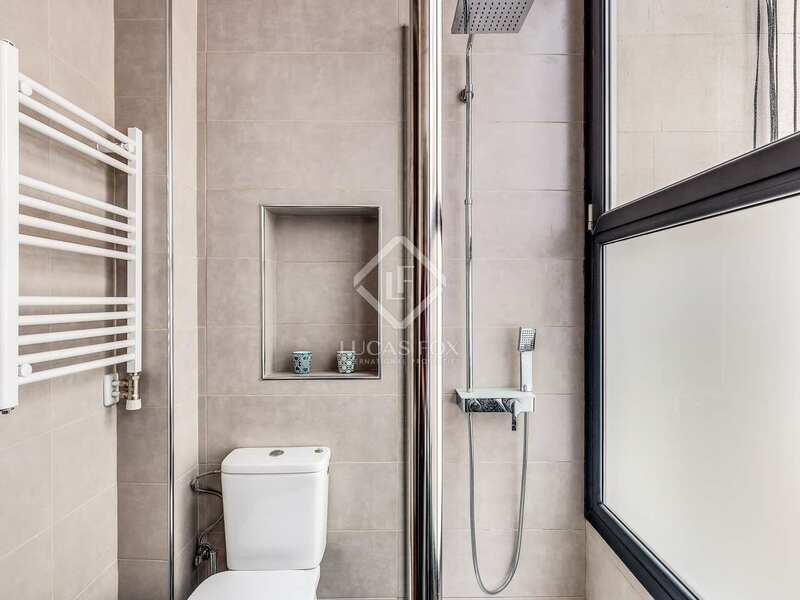 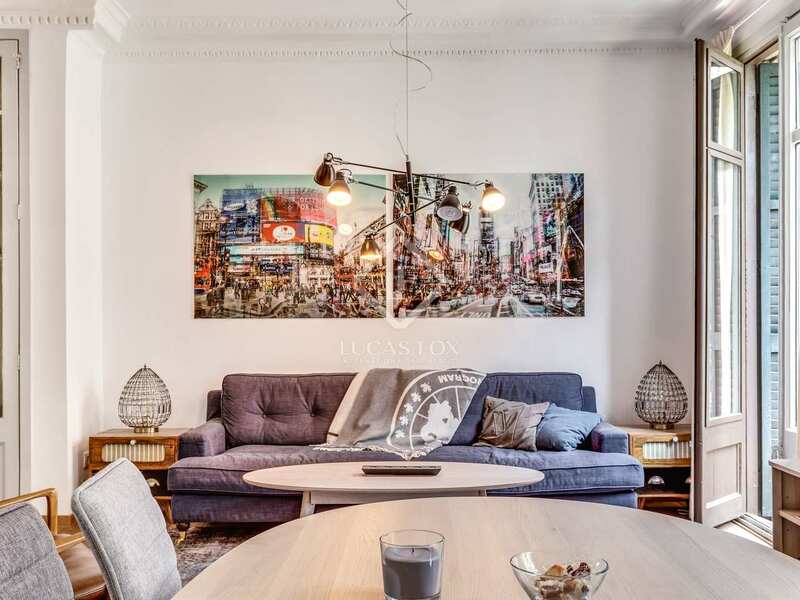 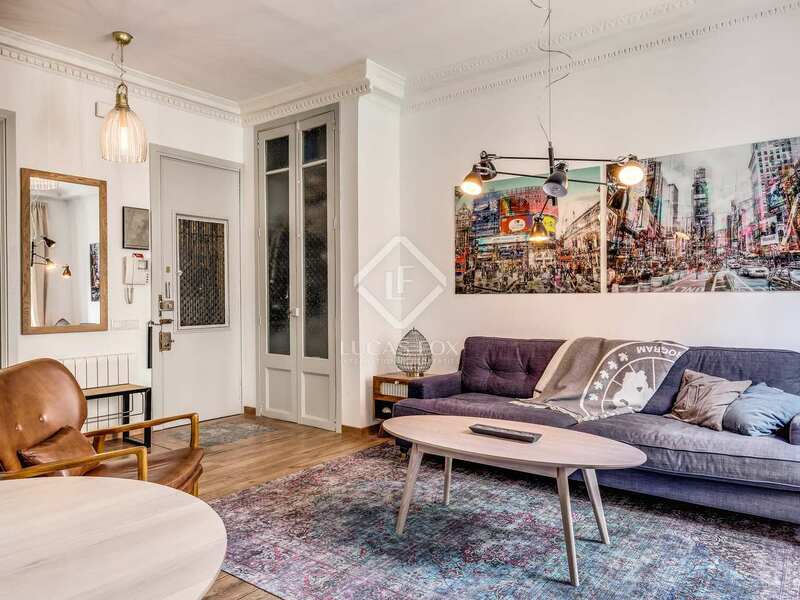 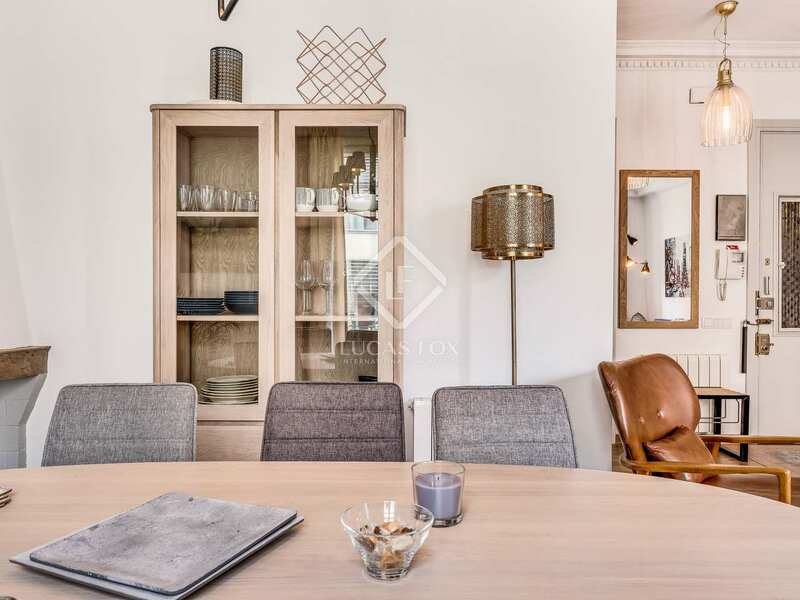 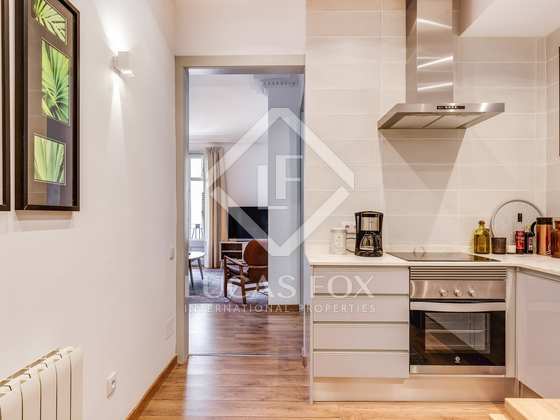 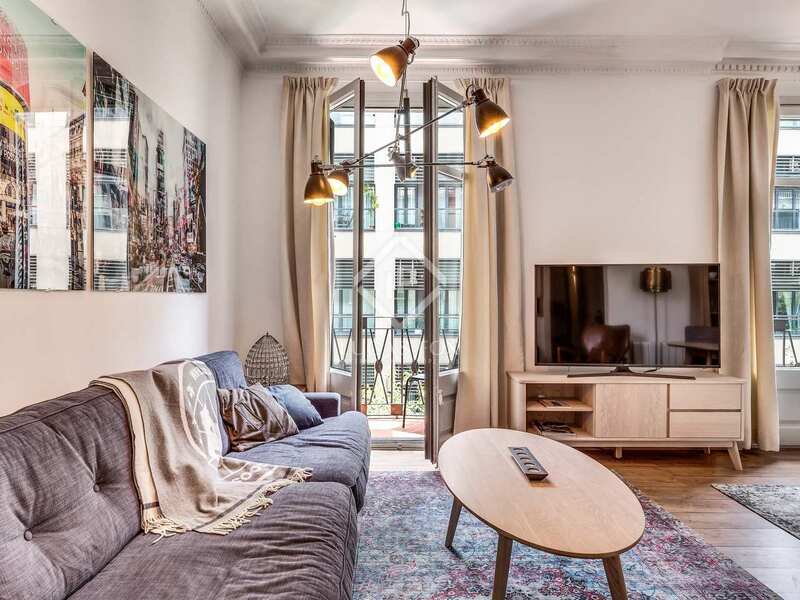 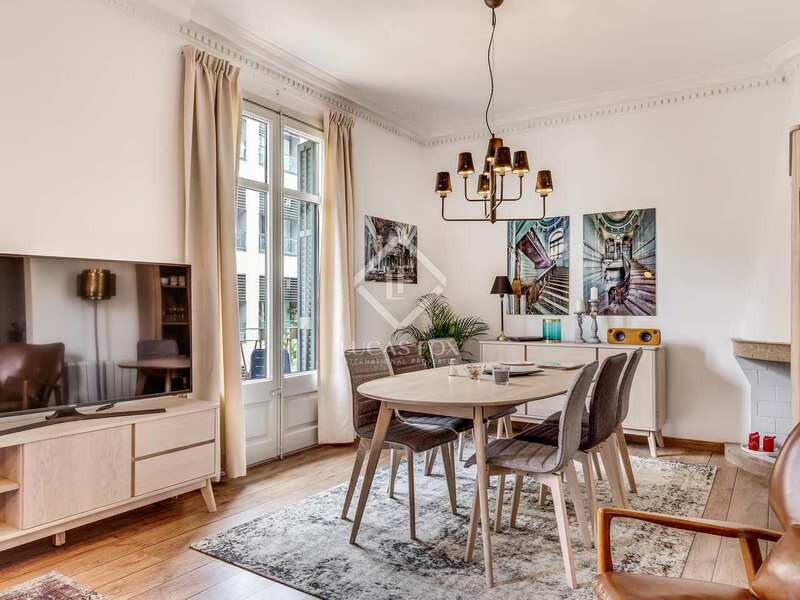 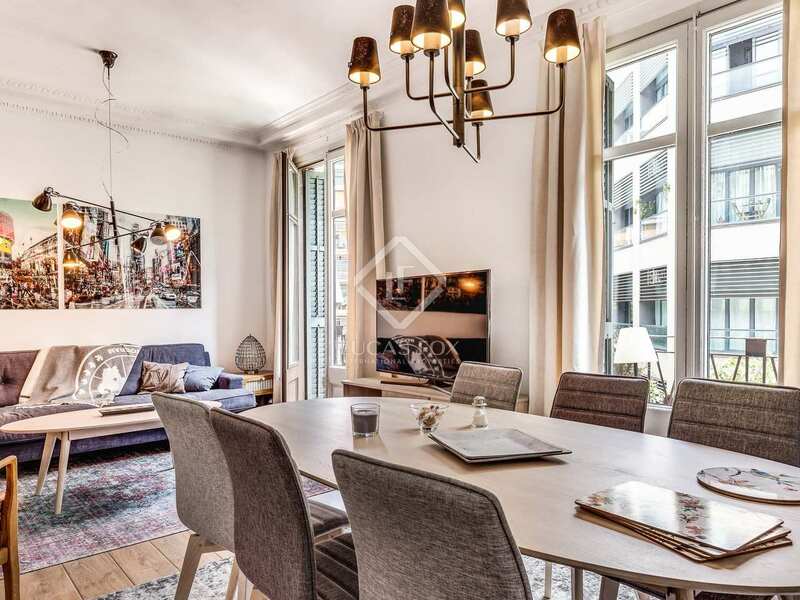 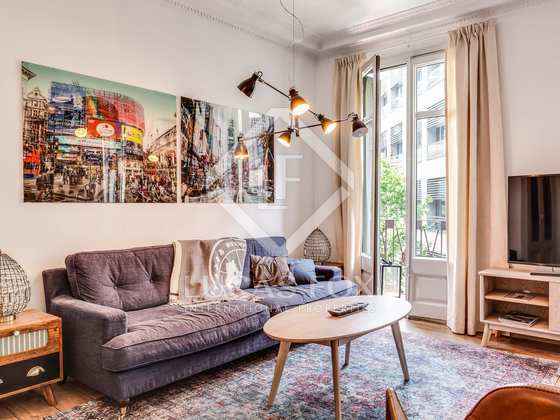 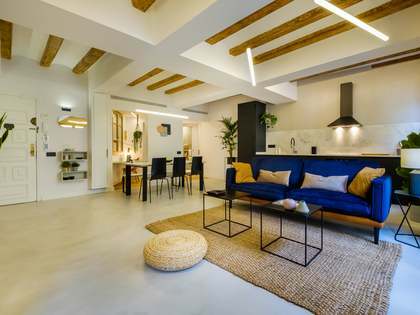 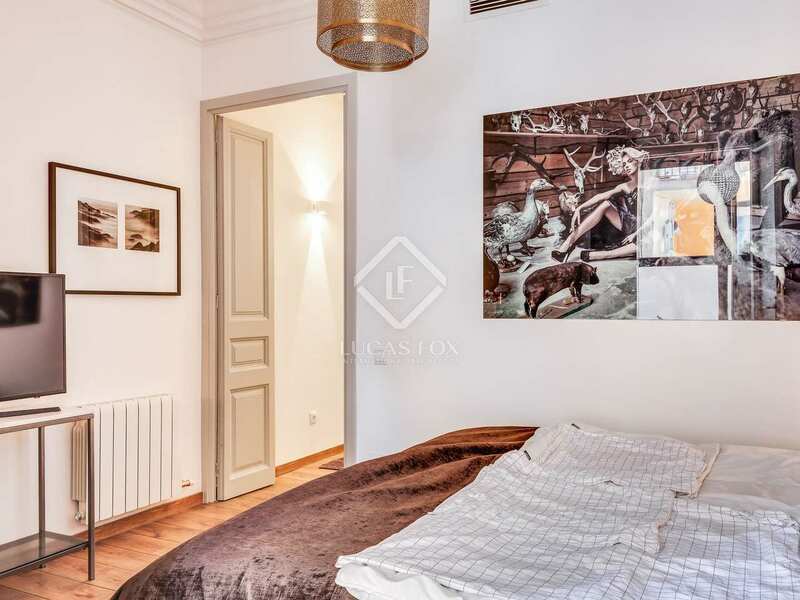 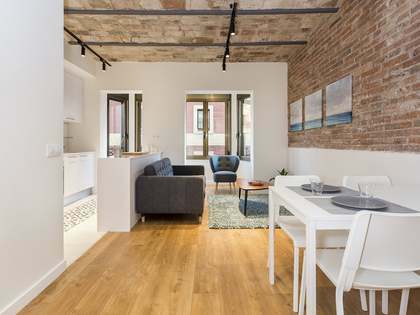 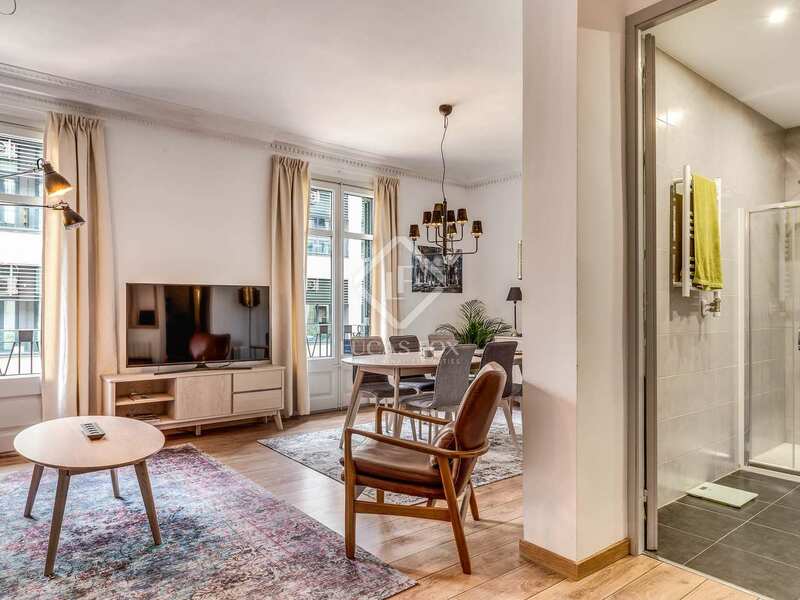 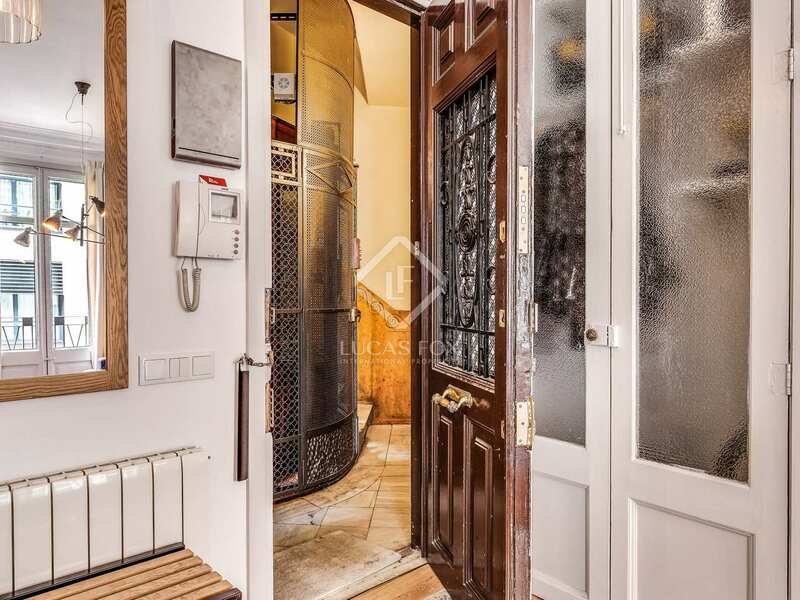 This excellent property combines modern comforts with the elegance of a bygone era, in the up-and-coming Sant Antoni neighbourhood of Barcelona City. 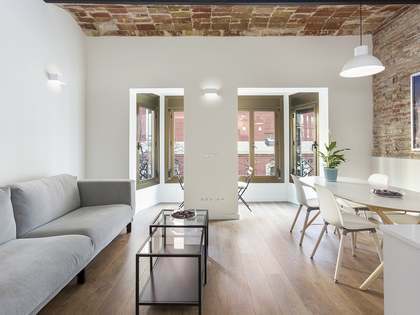 Property located in the Sant Antoni neighbourhood of Barcelona, between Plaça Espanya and the new Santa Antoni Market. 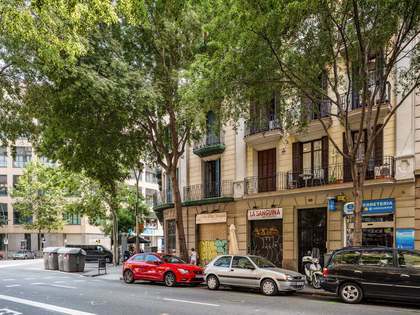 It is close to the Las Arenas shopping centre and the Plaça Espanya and Rocafort metros, as well as a stop for the Aerobus shuttle service to the airport. 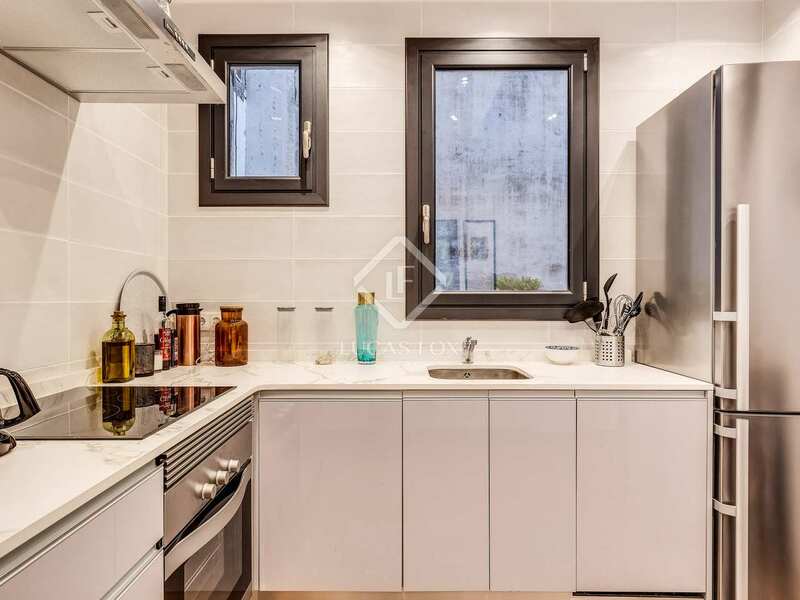 There are many prestigious international restaurants in this up-and-coming neighbourhood.